I think I've finally found a good, unique, and functional soap mold! I made some Raspberry Aloe Soap in my new mold. 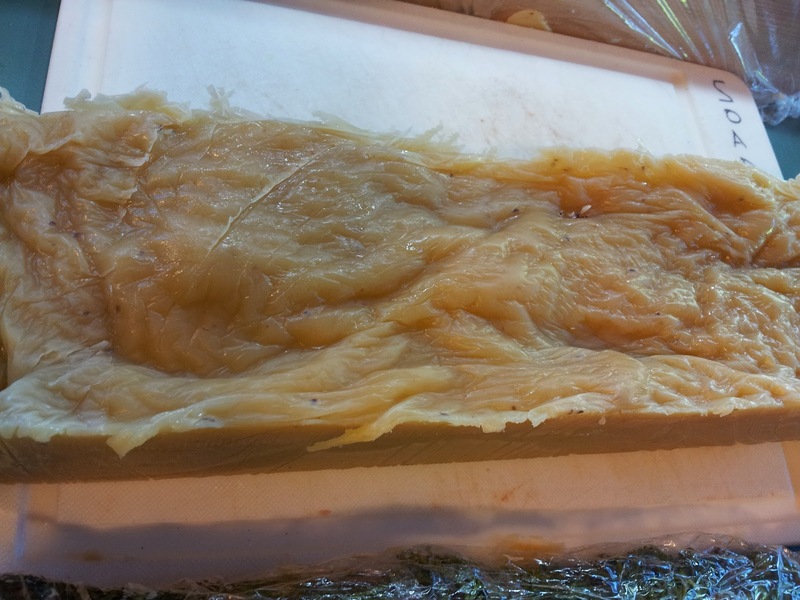 As you can see from the picture, the mold consists of 3 equal sized pieces of wood and two end pieces. I drilled holes in two of the boards and inserted two threaded rods and attached washers and wing nuts on each end. I wrapped all the pieces of wood in plastic. 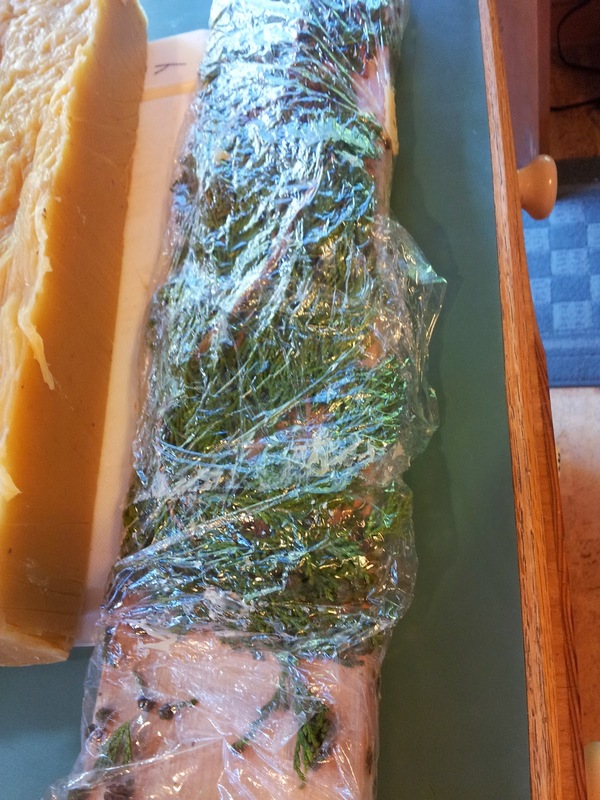 The mold as pictured, holds two pounds of soap, however you can adjust the end pieces for smaller batches if you'd like. When your soap is ready to unmold, simply unscrew the wing nuts and lift the sides from the base. Simple! I tried something a little different with this soap, besides my new mold. 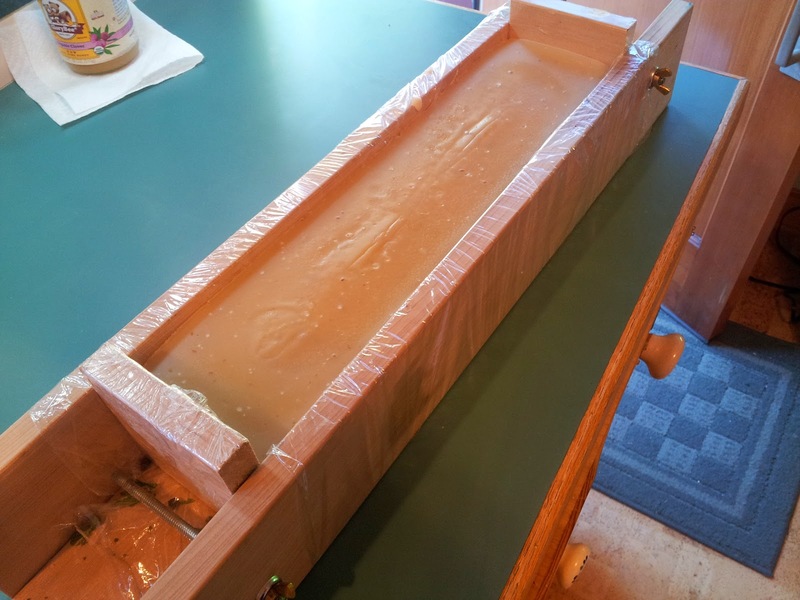 I added cedar bows to the base of the mold and covered them with plastic. I was hoping for a nice embedded impression on the top of the soap. 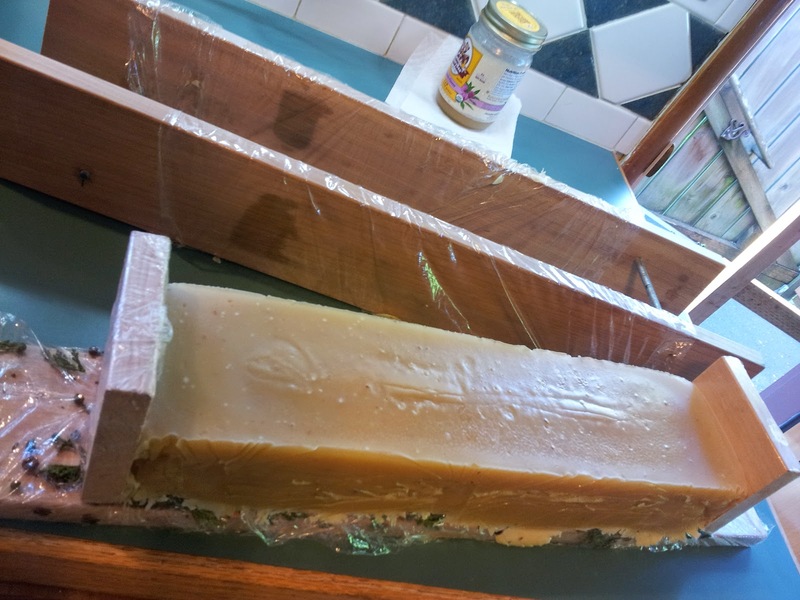 I'm not all together unpleased with the result, however it doesn't look like cedar bows but it does give a nice, rustic finish to the soap. I'll keep experimenting with this technique but for now, not bad.